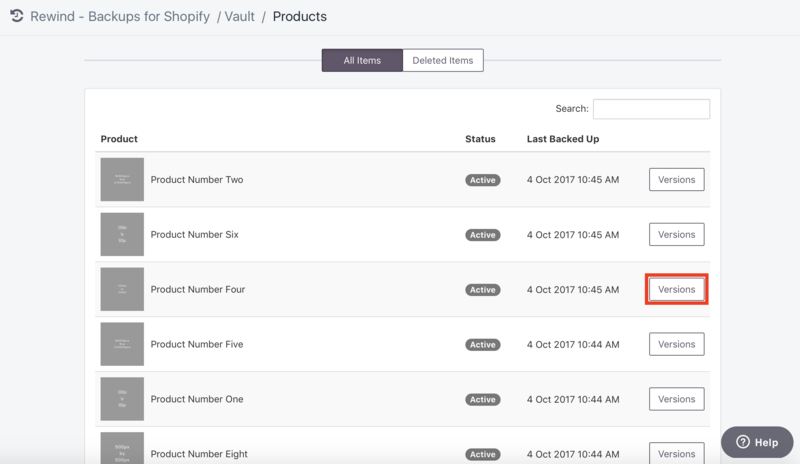 Within your Rewind Vault, there are two different ways you can rewind your Products in the event of any type of data disaster: (1) Rewinding individual Products (one by one), and (2) Rewinding ALL Products at once. 1. From your Rewind Home Page, in the Rewind Vault section, select "Enter the Rewind Vault". This will take you to the part of the Vault that deals with rewinding items one by one. 2. 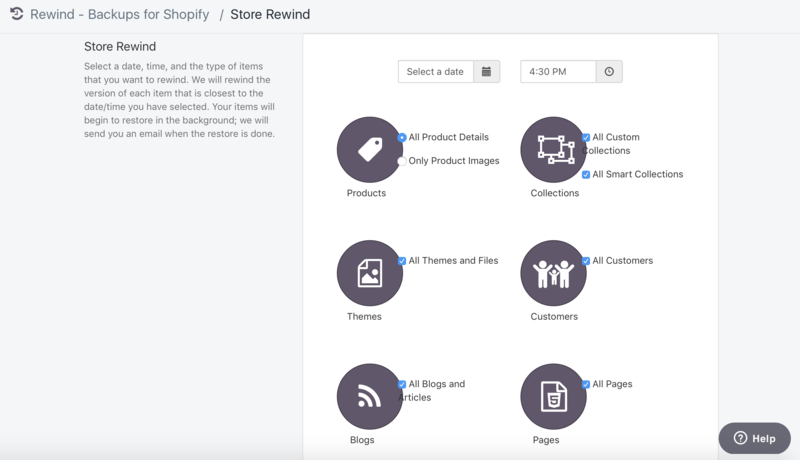 This page will categorize all the items Rewind backs up for you. From this list, select "Products". 3. Locate the specific Product you wish to rewind. This can also be done by using the Search bar and entering in a name, key word(s), or a SKU. 4. 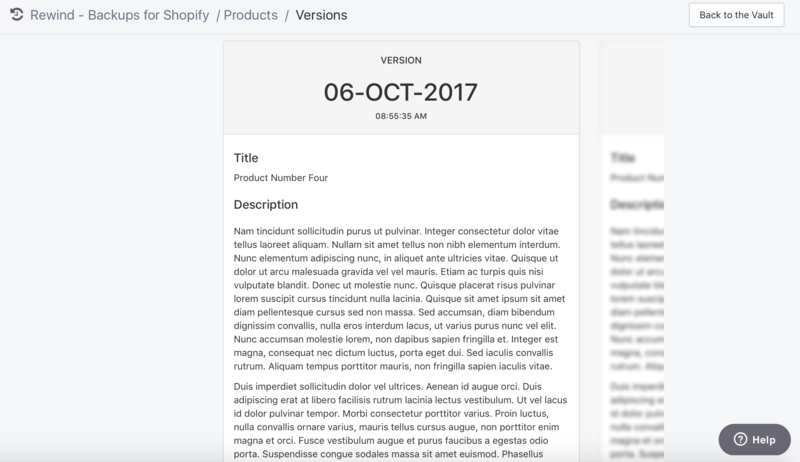 To the far right-hand side of the desired product, click "Versions" to access all previously backed up versions of this specific Product. 5. 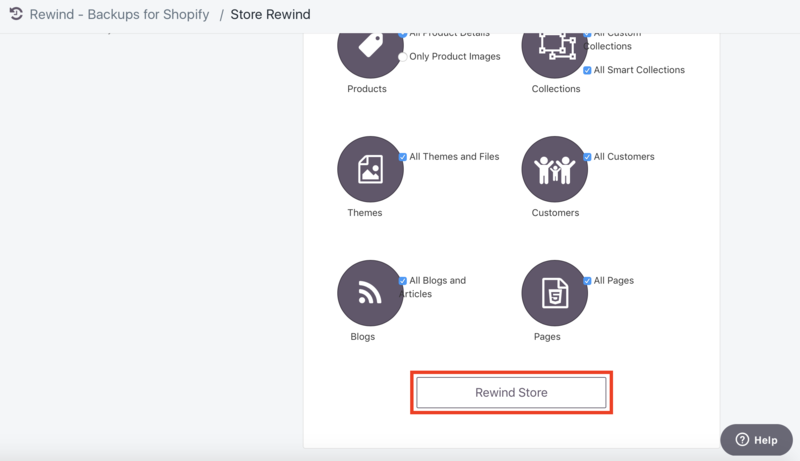 Use the right and left scroll arrows to locate the specific version you would like to rewind for this Product. 7. 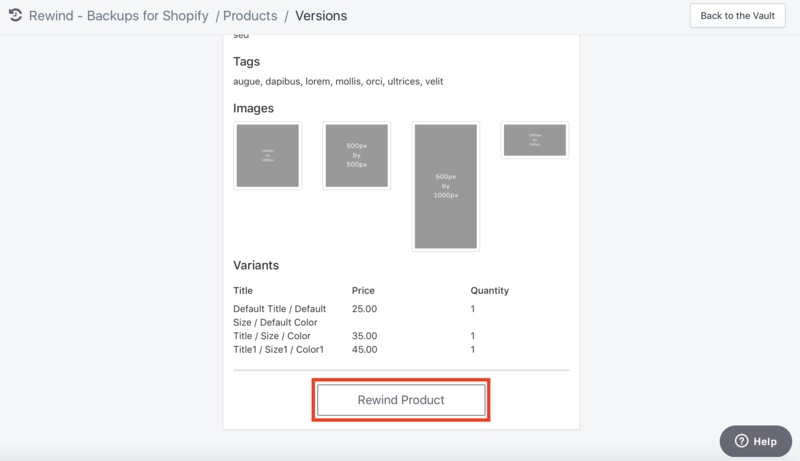 At the bottom of the desired version, select "Rewind Product". The selected version of the Product will now be restored back into your shop. 1. 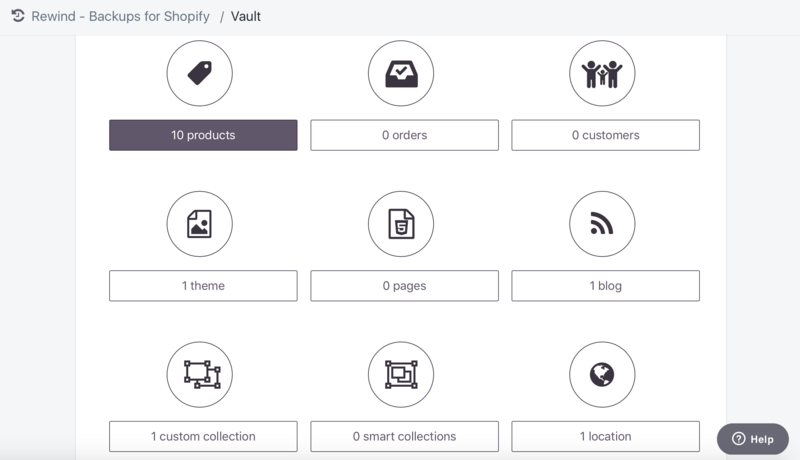 From your Rewind Home Page (in the Rewind Vault section) select "Enter Store Rewind". 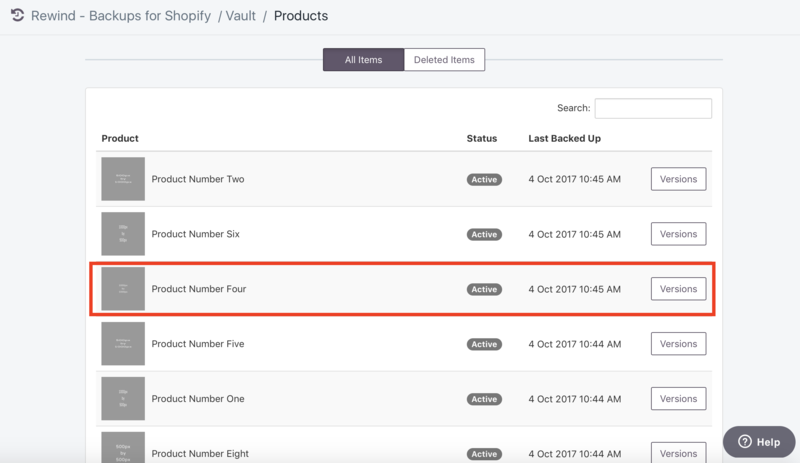 This will take you to the part of the Vault that deals with rewinding your entire store (or selected bulk items) to a specific date and time. 2. Select "All Product Details". 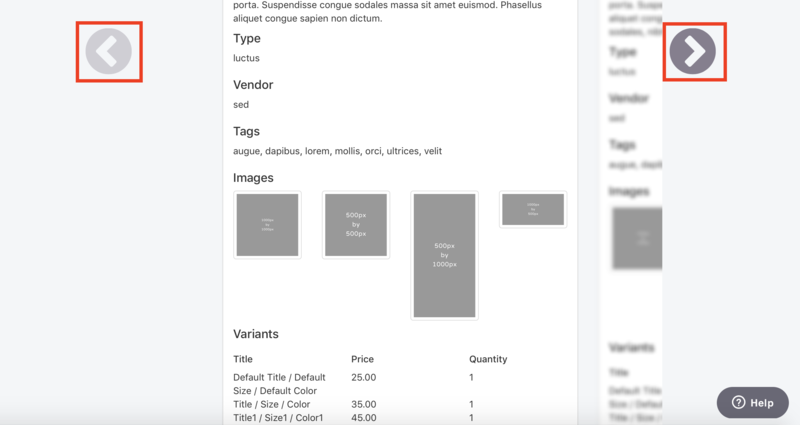 If you only wish to rewind your Product Images, in this step, you'll instead select "Only Product Images". 3. 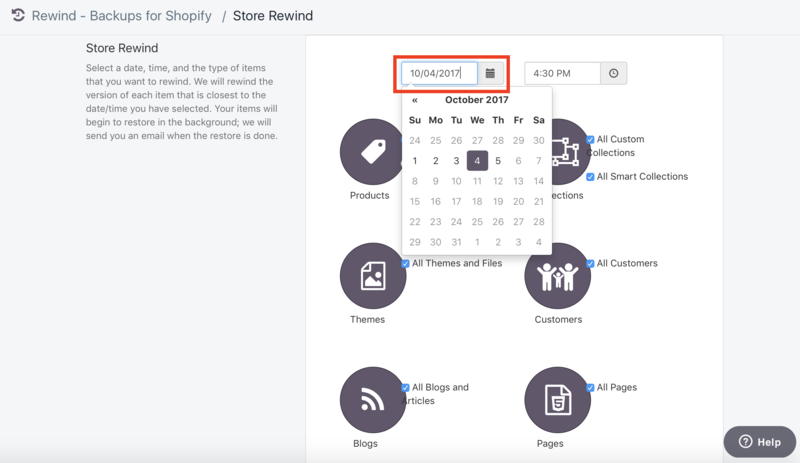 In the text box next to the calendar icon, select the date you would like to rewind all of your Products back to. 4. 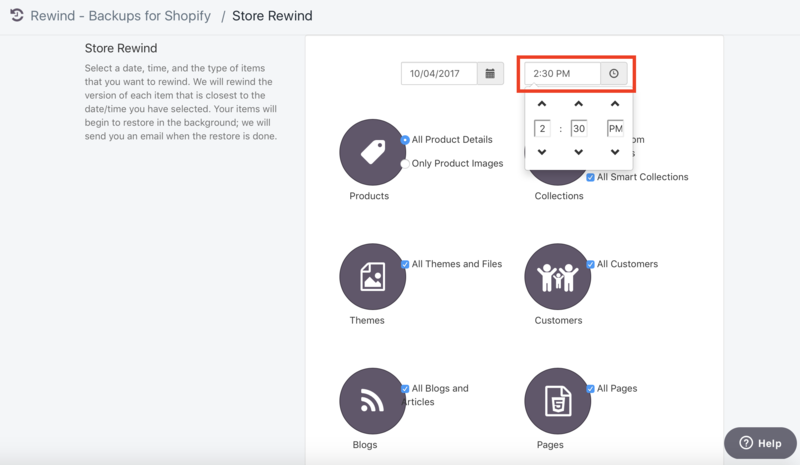 In the text box next to the clock icon, select the time you would like to rewind all of your Products back to on the selected date chosen. All of your Products - from this date and time - will now be restored to your shop.